Everybody! 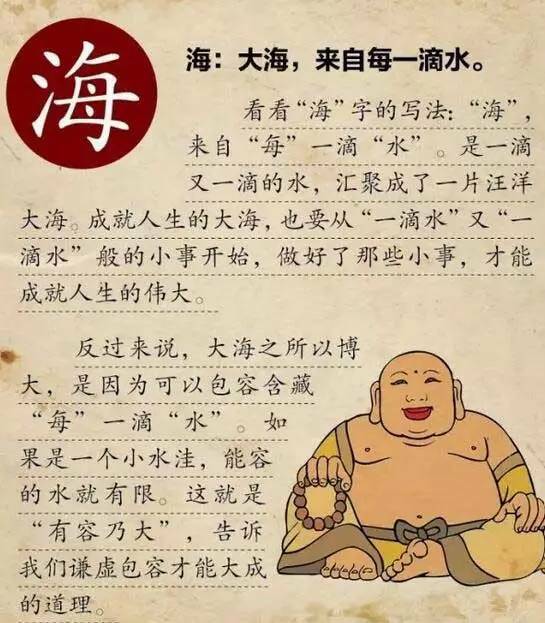 How about the Chinese characters’ analysis yesterday?Do you like it,or What have you learned from it?Is that very interesting?Today,I will share you some other characters’ Pictographic meaning to help you learn more Chinese characters. 1.“路(lu)”：Every journey begins with the first step. The left character is "足(zu)", means your feet.The right character is "各(ge)", means respective.The road of life is at each step. The so-called "journey of a thousand miles begins with a single step", that is the truth. Every one of us can walk out of the road of life, but we can not count on others,instead,we need go on our own. 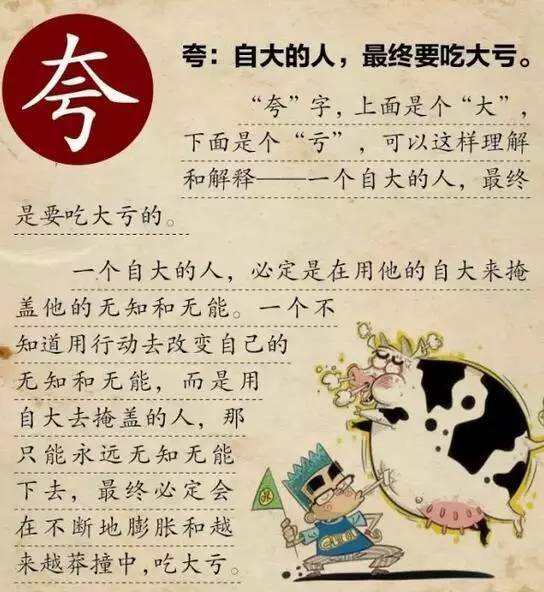 2.”夸(kua)”: Arrogant people, will eventually suffer a great deal. The above character is "大(da)", means Arrogant.The under character is "亏(kui)", means suffer. It can be understood as an arrogant person, will suffer a great deal. An arrogant man often uses his arrogance to hide his ignorance and incompetence. 3.”海(hai)”: The sea comes from every drop of water. The left part means water.The right character is "每(mei)", means every.It is a drop of water, converging into a world of waters of the sea. "Achievement life" of the sea,also from a drop of water,it is a little bit of small things, and do the best of those small things,help us achieve great life. The sea tells us that modesty and tolerance can make a great difference. Mandarin Garden Education Group is a professional Chinese foreign language teaching institution. It is a platform for Chinese language & culture, communication, cross-cultural communication skills training and teacher training! 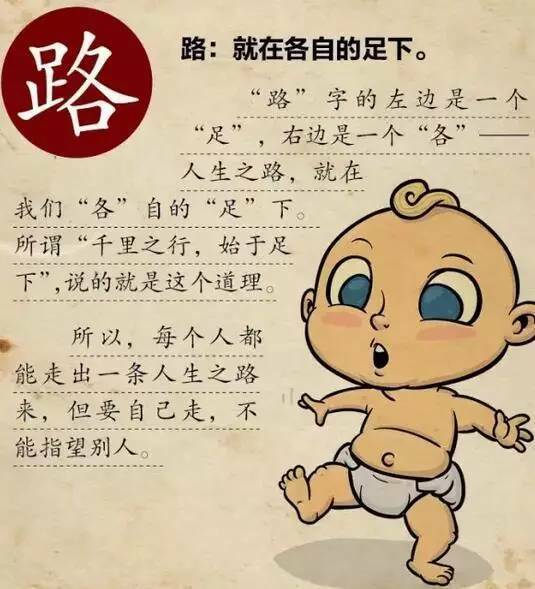 Especially,in the Chinese summer camp,you will receive more about Chinese characters’ culture which is very interesting.Chinese summer camp is in the hot enrollment ! Next: Do you really understand the Chinese characters ? Mandarin garden show you !